The Cleveland Cavaliers gave NBA Betting fans that picked them a sigh of relief when they routed the Warriors 120 to 90. The possibility of a sweep is out the window now and the Cavaliers could see this as their turning point for the series, as they know that one more loss will put them in a dire situation. The win, not only will give them some breathing room, but it also should be a much needed confidence boost for the now crucial game 4. Like it was said before, it only takes one game on the road for the Warriors so the can be series to be as good as over. 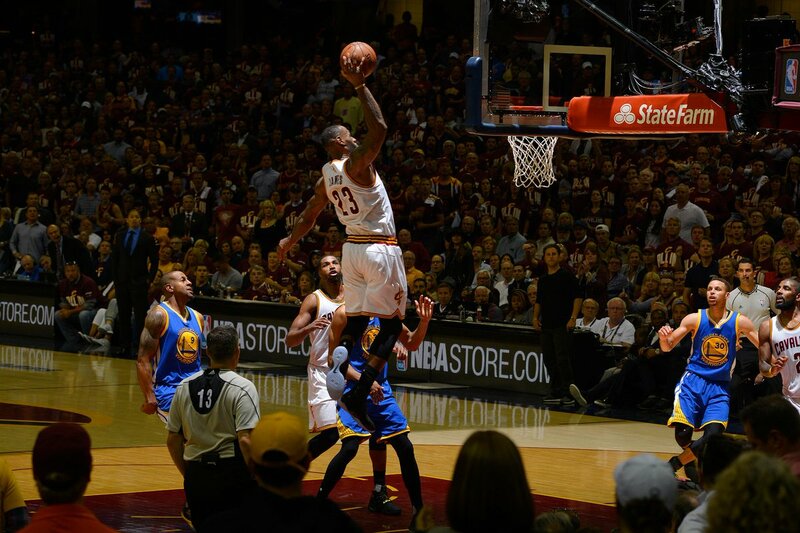 LeBron James is a fantastic player, no question about it. And yesterday he reminded all of us mere mortals of his greatness, with 32 points and helping his team produce as Kyrie Irving hit 30 and J.R. Smith had a total of 20 points. This was the Cavaliers firing on all cylinders as they managed to score more than 100 points against the Warriors for the first time in 10 games. Plus they held off Curry from getting a rhythm, they shut him down and kept him with the lowest scoring quarter this season with only 2 points. That should be confidence in its own for the remainder of the series and it should entice more people who bet on NBA to not write them off just yet. The line for game 3 had some interesting behavior, first it was favoring the Cavaliers, then it moved to PK, then it favored the Warriors, all based on heavy action coming in. So much so that we kind of expected it to go for the Warriors even more, but then the line balanced one more in PK, then it ended up right where it started with the Cavaliers as the -1 favorites. For game 4, there is not going to be so many changes from here on to game time. The Cavaliers will be strong and rightful favorites, it is also pretty interesting that the Over/Under line is where it is at the time. For game 4, we are sticking with our guns that the Warriors will take one game on the road and we think it is going to be Game 4. The Warriors had a bad game, but it doesn’t mean a total collapse. We’ve seen pull out of tough situations is this post season so they have the mental strength to do so. NBA Betting experts are stating that the Cavaliers will even out the series, and they could be right, but the Warriors can get cooking and end this series early. Also, as both teams went for the over last night, the line for this game (the initial one, at least), seems very appealing as we think this game will also go for the over.